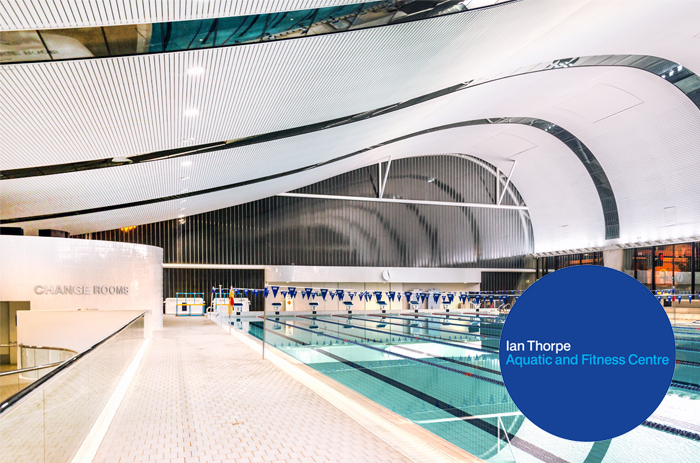 The Ian Thorpe Aquatic Centre, named in recognition of the Olympic swimming champion, is a fitness centre in Ultimo, New South Wales. A stunning feature of the impressive building is the wave shaped roof structure that recalls the character of Darling Harbour. 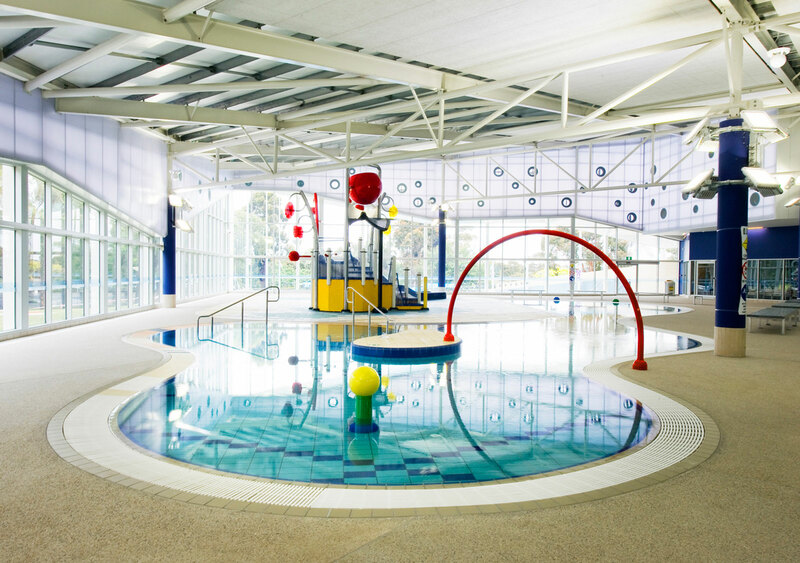 Inside are three swimming pools and extensive exercise and leisure facilities. 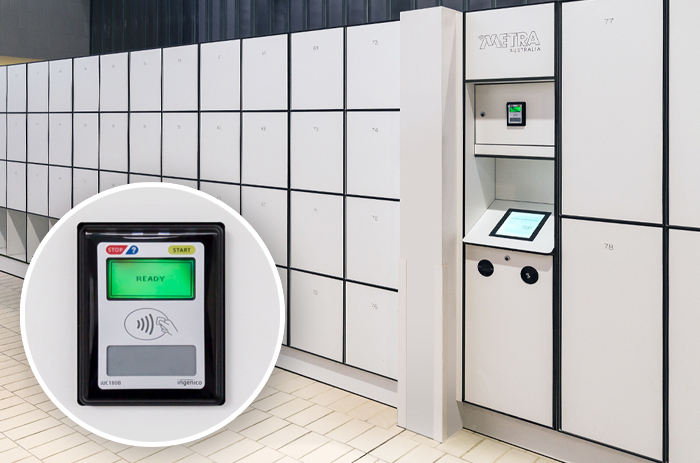 METRA Australia designed and installed High-Pressure Laminate (HPL) personal storage lockers, securely accessed via METRA Kiosk Touchscreen and central RFID Reader Terminal. 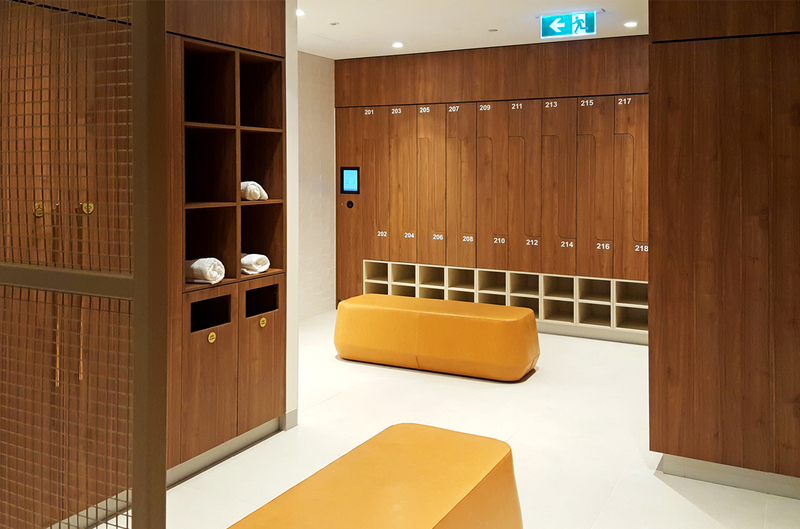 Patrons, members and staff can also enjoy the convenience of payWave® cashless payments for locker rental. Click here to download the Case Study (PDF). 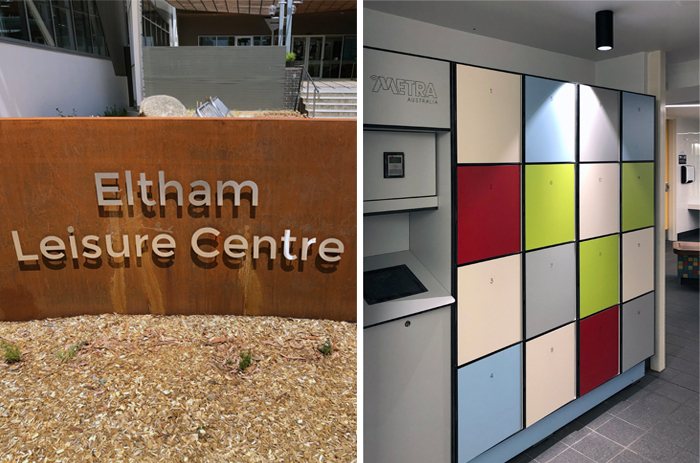 The newly renovated Eltham Leisure Centre, Victoria, has been designed as an accessible and inclusive space where people of all abilities can engage in exercise and recreational activities. 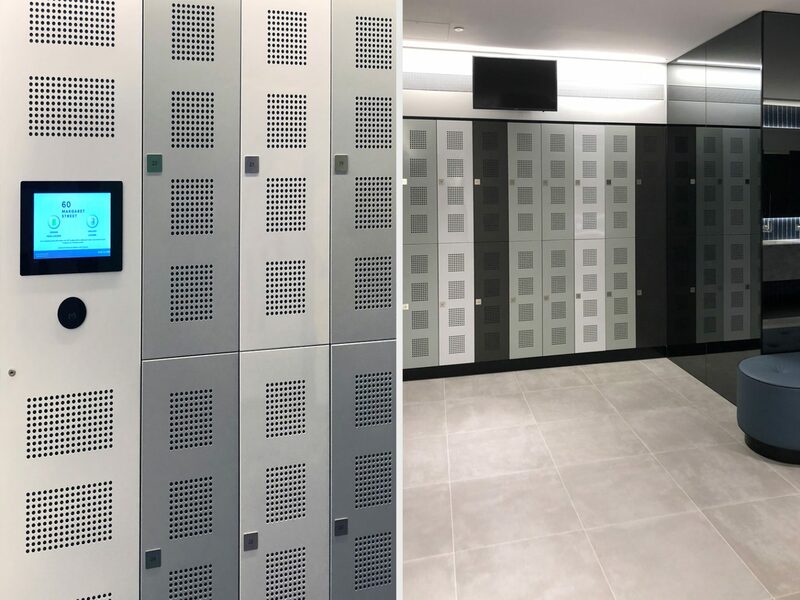 METRA Australia recently designed and installed new personal locker storage with METRA Kiosk touchscreen technology and Paywave® integration. Visitors, members and staff can enjoy onsite activities with peace of mind their valuables are safely secure. RESCON Builders design and build granny flats by combining practical living with beautiful modern architecture. Based in New South Wales, the team utilise an extensive partner network to focus on affordability, energy efficiency and sustainability. Above all the team pride themselves on ensuring high-quality and professional results on every project. 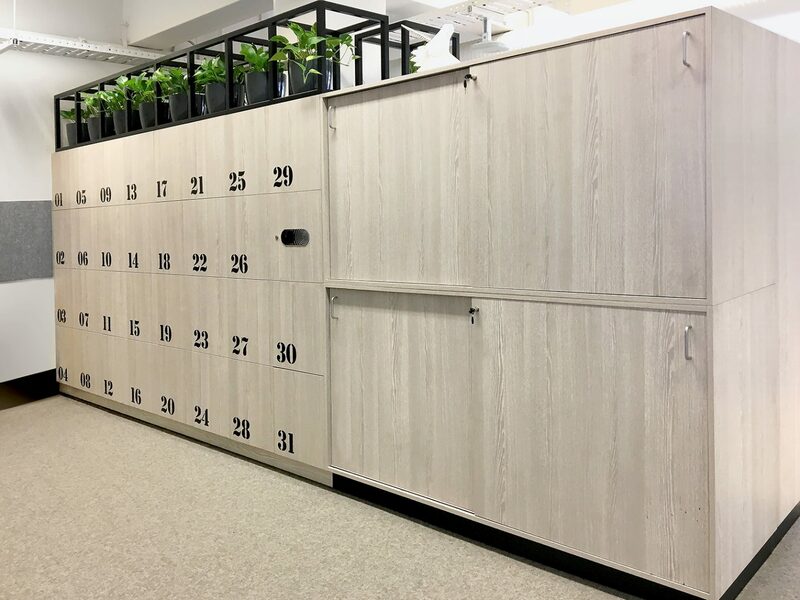 METRA Australia were engaged to design and supply personal locker storage for staff located at their main office and showroom in Bella Vista, NSW. 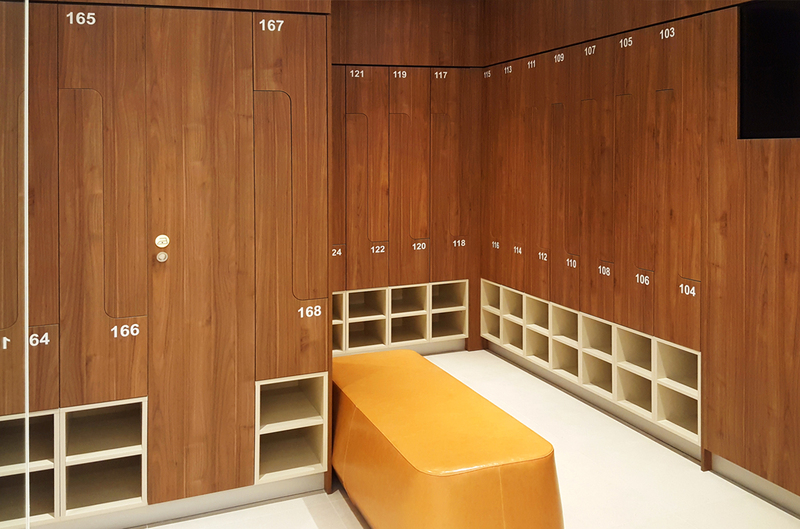 Our team’s intelligent and flexible solution included installing durable High-Pressure Laminate lockers in a style to suit and enhance the office setting. 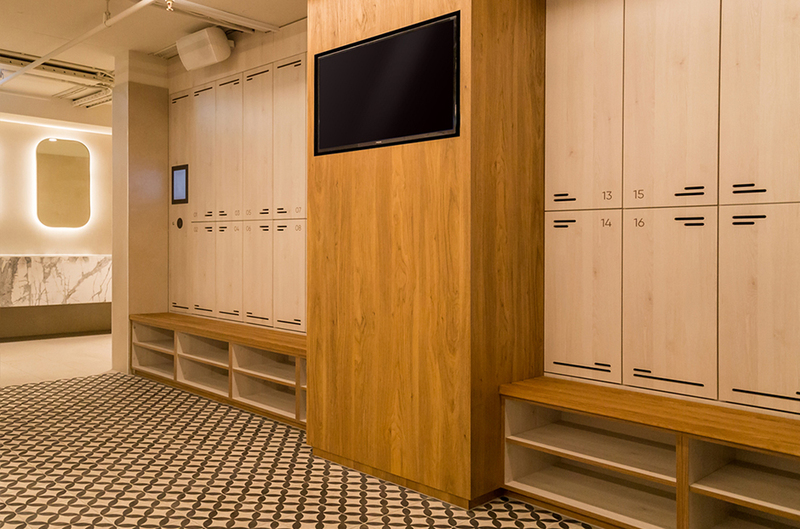 Each locker was fitted with our patented hardwired (no batteries) METRA electronic lock with RIFD proximity access. 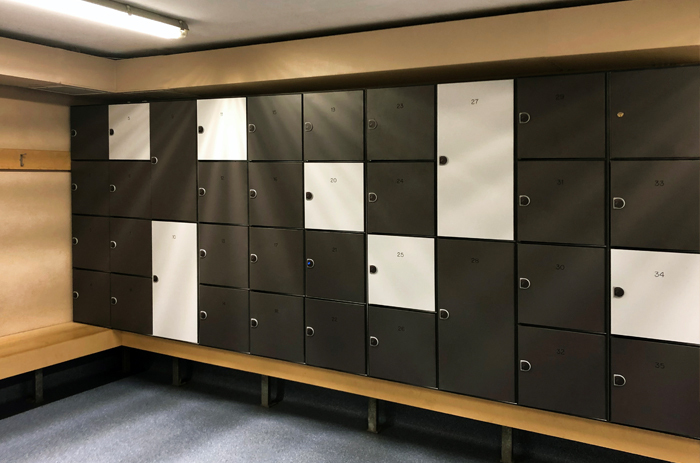 Staff access assigned lockers with their smartphone (and selected smart watches) using the HID Mobile Access app (available on iOS and Android) via secure (encrypted) HID Seos® credential technology. 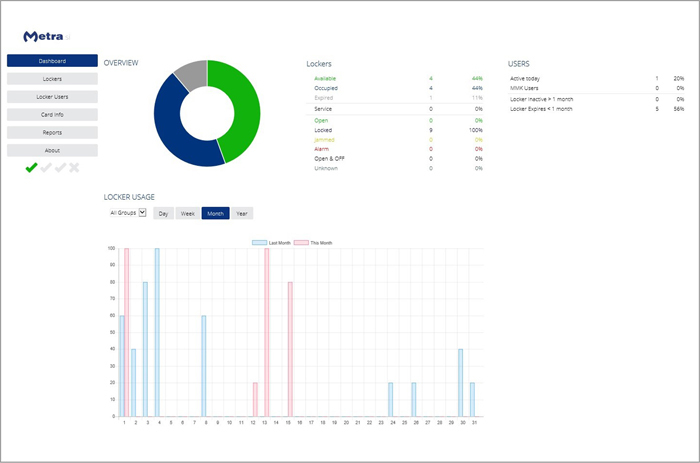 A central Display RFID panel communicates locker signal functions (lock/unlock) and is back office coordinated with MyMetraLockers (MML) management software. HID® Mobile Access app – Open lockers with Apple Watch®! 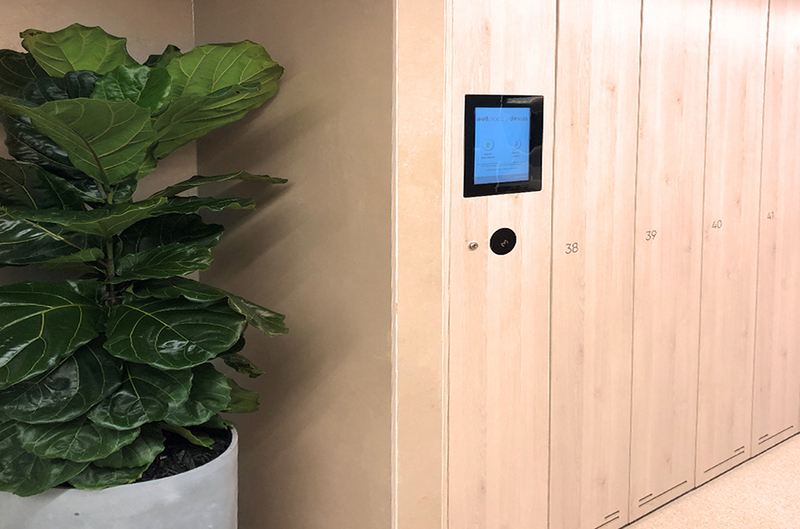 Utilising the HID® Mobile Access app with METRA Australia lockers offers a smart, user-friendly and secure locking solution for personal locker storage. The HID® Mobile Access app means personal storage lockers can be accessed via your Apple Watch®! Check out the video below for a demonstration. 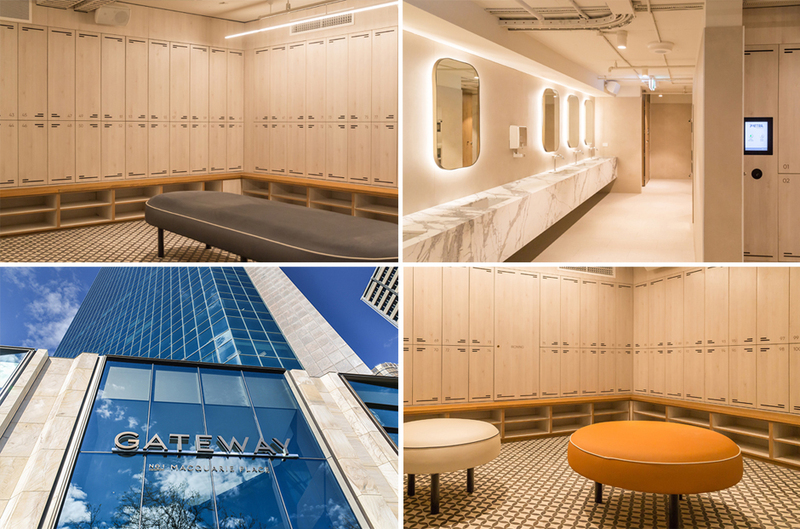 Gateway at 1 Macquarie Place is a high-profile 47 level premium grade tower with 38 levels of office space, three levels of prime retail and four levels of secure basement parking for 180 cars. 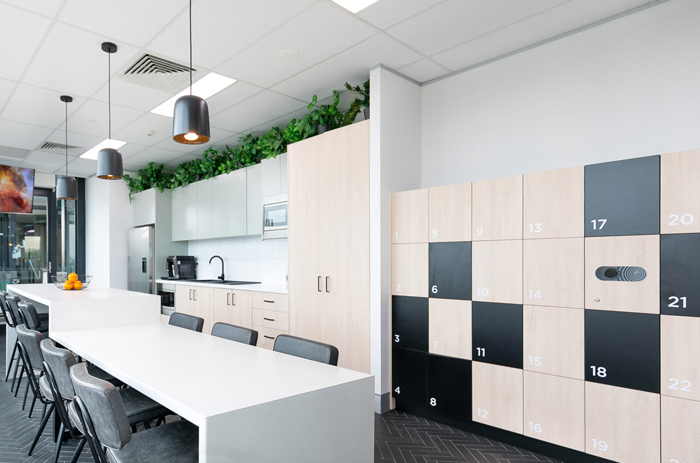 The workspaces offer flexible and efficient floor plates and from the mid to high rise, and tenants enjoy panoramic views across Sydney Harbour to Manly. 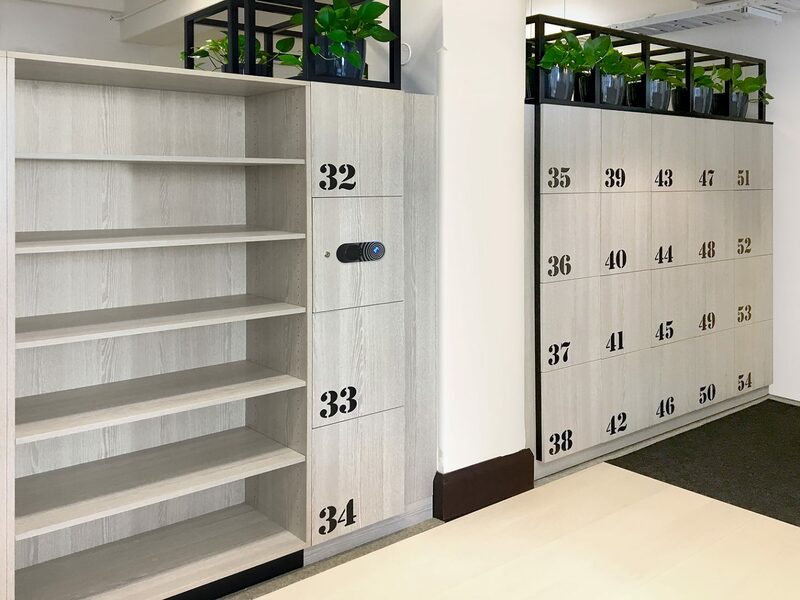 METRA Australia engaged with Australian real estate investment trust, Dexus to extend existing access solutions and provide world-class facilities with a highly secure personal storage solution. 60 Margaret Street, Sydney is a striking model of 80s modernist architecture with the best of corporate, retail and transport options, with views of Wynyard Park and the CBD cityscape. 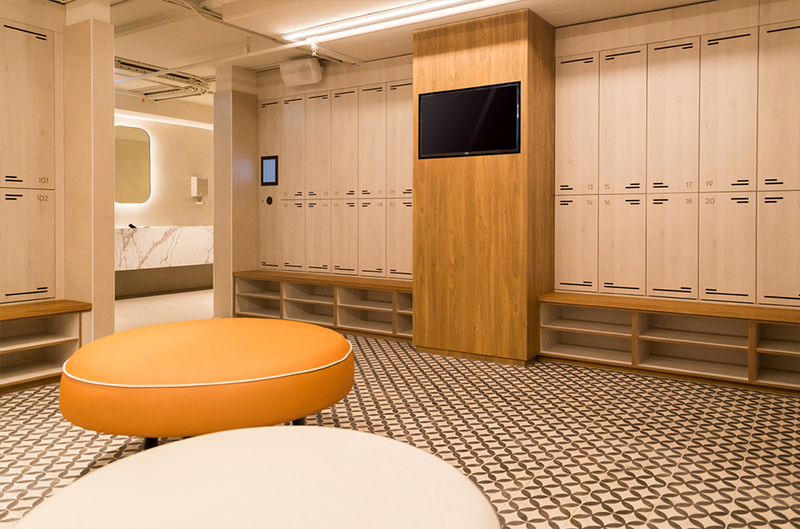 Tenants can enjoy world-class End-of-Trip Facilities, secure bike racks, multiple lockers and secure parking for 142 undercover on-site parking bays. 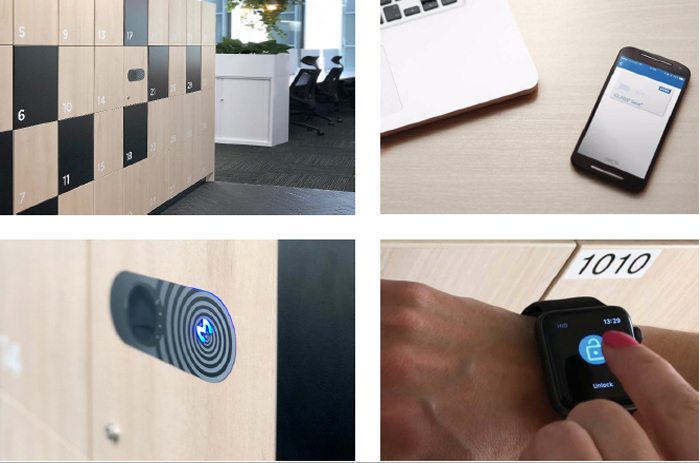 METRA Australia partnered with Planex and MIRVAC to extend existing HID® access control security to enhance the quality working environment and increase tenant productivity and wellbeing. RMS is an operating agency within the Transport Cluster of NSW. Transport for NSW is at the centre of the Transport cluster with responsibility for setting the strategic direction and guiding an extended network of public and private service delivery agencies to provide improved transport outcomes. This NSW government agency was established on the 1st November 2011. METRA Australia has been working closely with RMS and TfNSW to satisfy the personal storage needs for their staff. RMS and TfNSW required a safe and secure system for staff’s belongings to be stored. METRA Australia is a simple and secure solution. 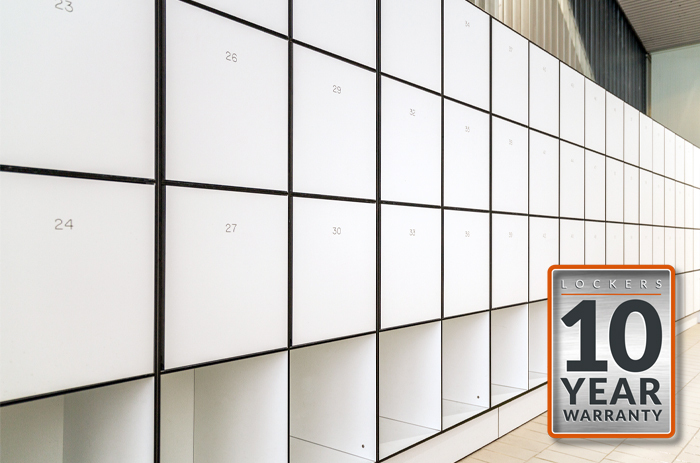 Currently there is close to 8,000 lockers installed over more than 30x individual floors, located in over 14 separate sites throughout NSW. 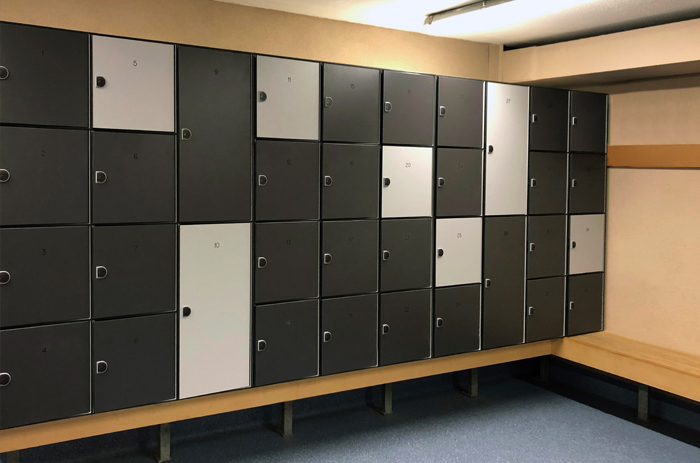 Staff members are assigned a locker(s) that can be accessed from central reader terminals located within the locker banks by their employee ID (and access) card. 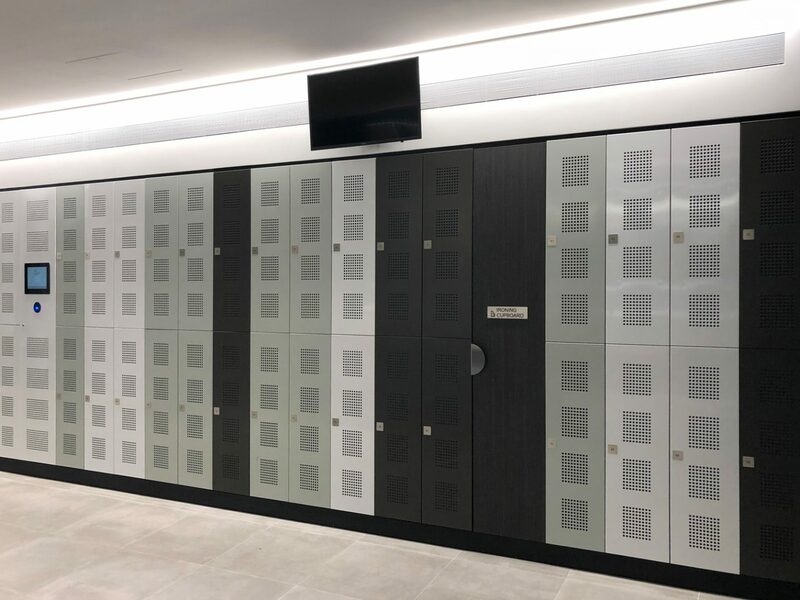 METRA Australia’s distinctive style and innovative solutions have ensured an easy-to-use system and highly secure lockers. 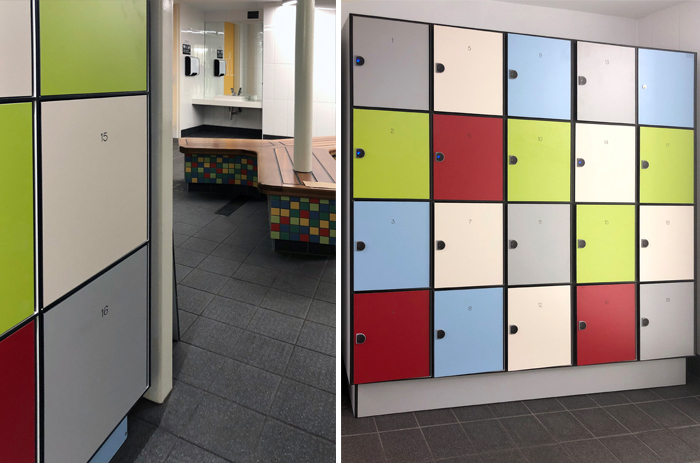 Aqualink Box Hill has been working with METRA Australia for approximately 2 years after the installation of new lockers in the aquatics area. 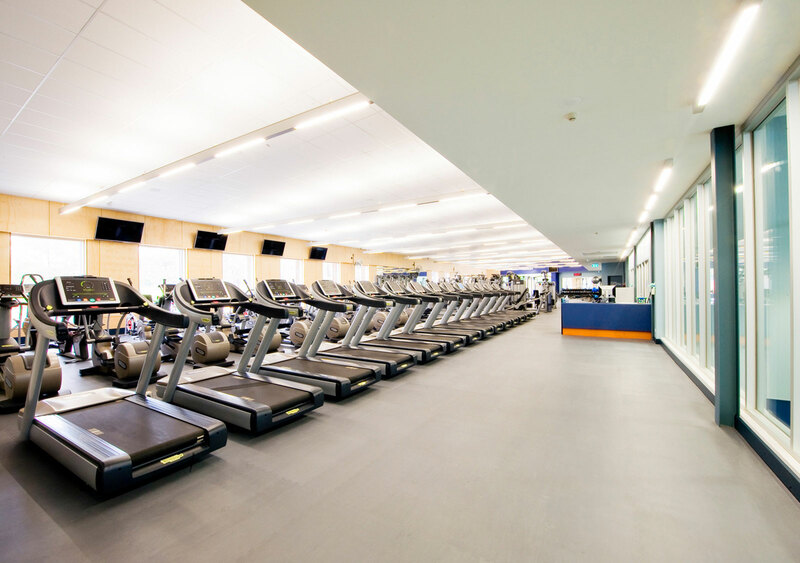 METRA lockers are in both the gym and aquatics, and also METRA locks in the gym area. METRA Australia provided peace-of-mind in organising and processing service calls, and service staff attended the site with a minimal interruption while acting on the service call. All services carried out thus far have been completed to a high standard, and follow-up communication is always given on what was specifically carried out at the time of the service. 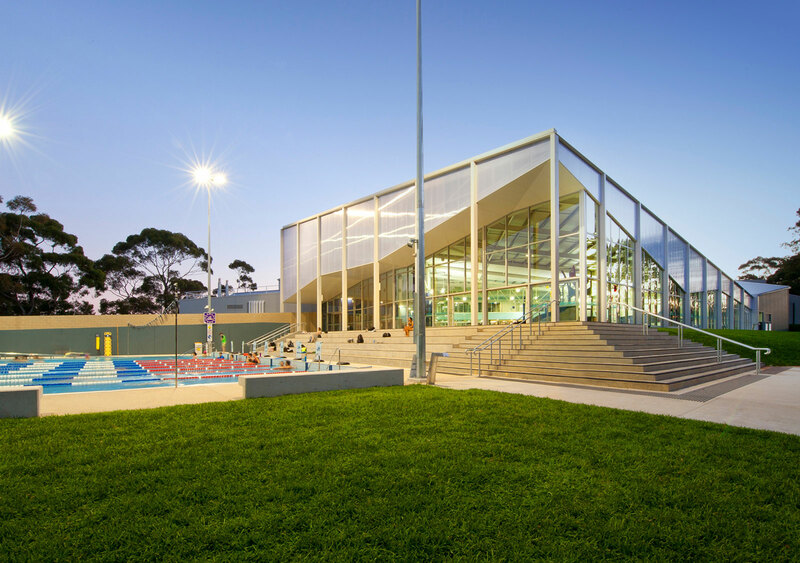 Being a community service, Aqualink Box Hill ensures their facilities, equipment and services are functionally adequately at all times, and as such METRA Australia offer callout services at short notice and with quick and efficient outcomes achieved. 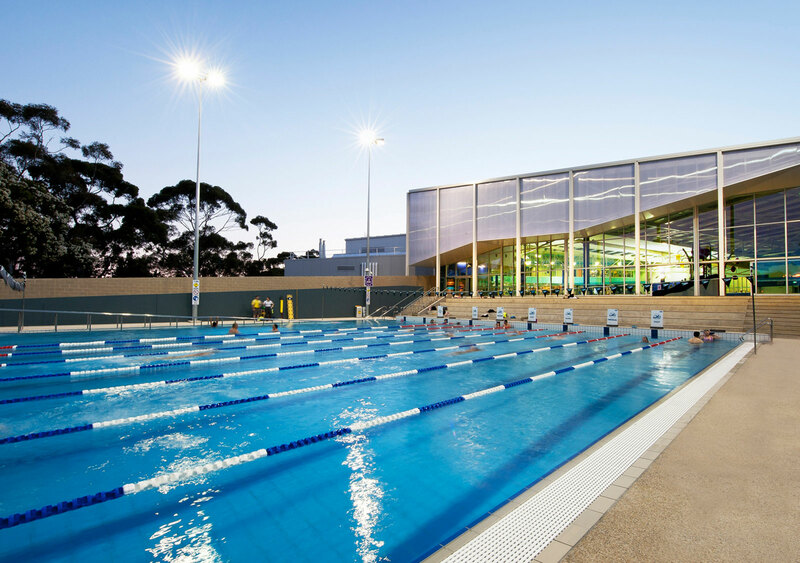 This ensures any downtime on lockers for Aqualink Box Hill members are kept to a minimum. Whether you are very busy or you just want some convenience to avoid time spending for shopping groceries. Avoiding road traffic jams and big city hustle. Grocer Lock offers products as any other supermarkets. All conveniently delivered to your home or delivery to locker close by. 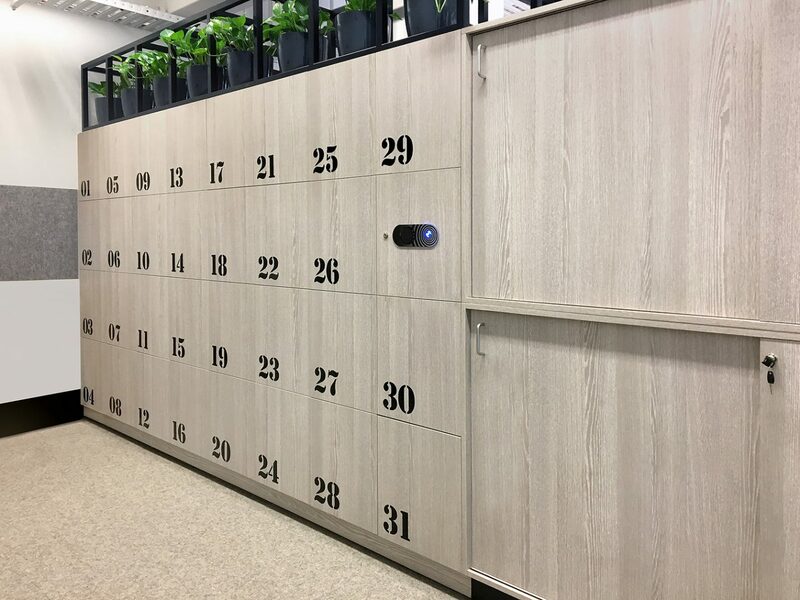 Customers that are not often at home, do not have time to collect the package anywhere else or just want privacy, are able to use delivery lockers service when purchasing items on-line. Package deliveries are done by couriers which use a special “delivery” key. After each package is delivered to the locker, the courier enters the package’s identification number. Metra Server sends a XML package containing the identification number to the 3rd Party SW & DB Server which in return sends customer’s key (PIN code) and device assigns it as a locker key. 101 Miller Street is a premium grade building co-owned by Mirvac Group and TIAA CREF. 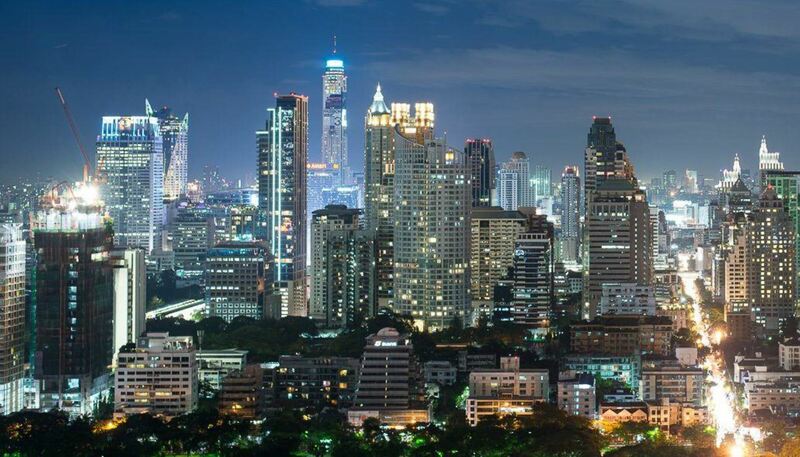 The landmark tower encompasses an entire CBD block, offering occupiers exposure on a grand scale. 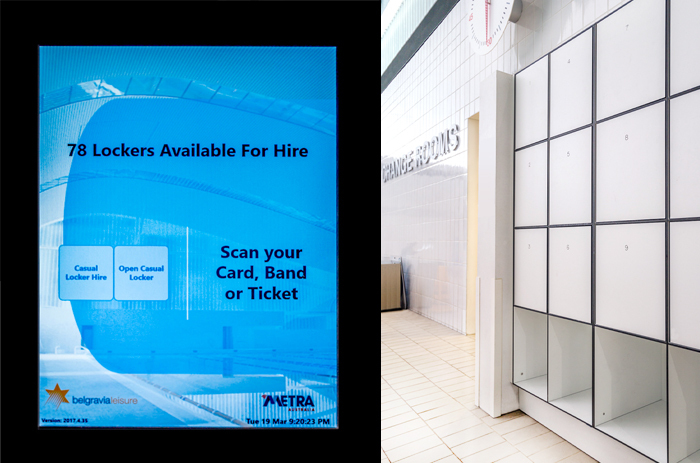 METRA Australia installed high-quality centralised METRA Locks with three Touchscreens utilising the METRA Kiosk application. Since 2007, 101 Miller Street has undergone a complete transformation in keeping with the demands of modern business. The superb finishes have been chosen for their simplicity and durability exhibiting a classic, corporate luxury design. Within the complex there is storage for more than 170 bicycles conveniently located in the car park, with further refurbished bathrooms, showers and staff lockers nearby. The Bike Rack METRA touchscreen can access all three areas (Bike Rack, Male Change, & Female Change), whereas the kiosks in the male and female change can only access their own area. The readers have been locked (in hardware) to the customer’s access card and won’t read common Mifare ™ cards (Opal, Miki, etc.). 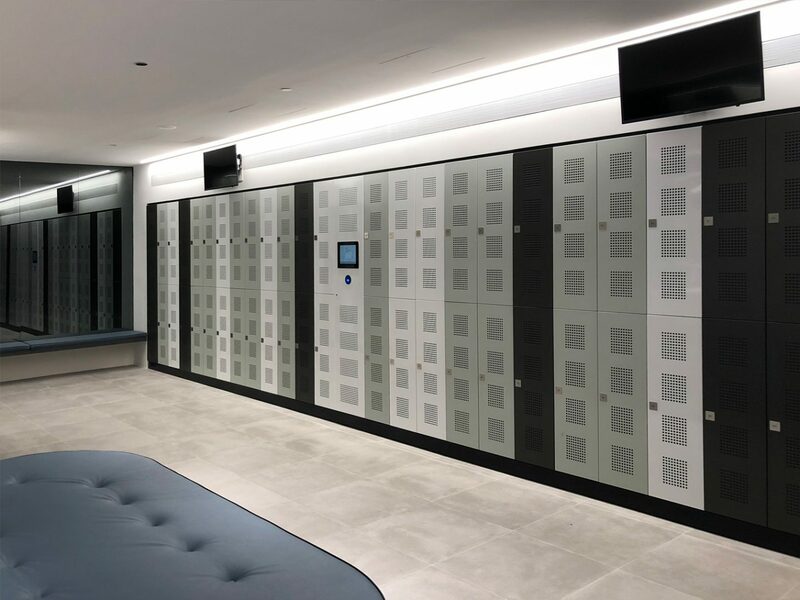 The locker reservations automatically expire overnight, and coupled with a nightly automatic opening of all the lockers after the site has closed, allows for cleaning staff to come through and clear down the lockers. METRA Australia develop and implement electronic locking access control systems. With innovative design and corrosion proof materials, our customers enjoy the best of reliable and modern systems. © Copyright All Rights Reserved METRA Australia 2018.